There are countless cafés in Berlin, but some stick out. One of these is Refinery – High End Coffee, where you can enjoy both, one of the city’s best cheesecakes and simply good coffee. Brewing coffee is some sort of magical science and the tough, tattooed, bearded baristas behind the counter command it to perfection. 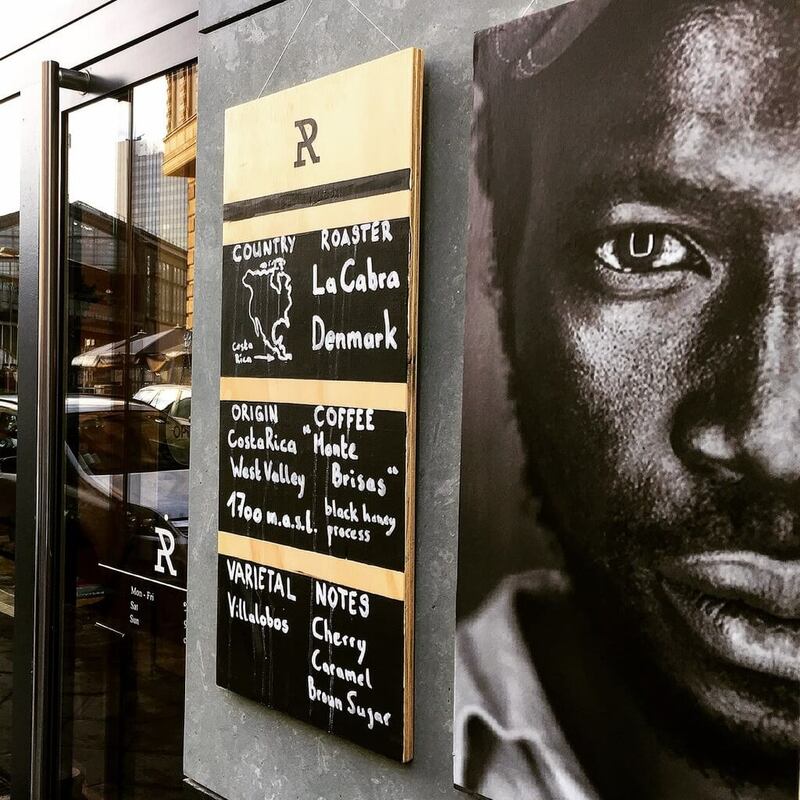 This rough crew spirit combined with a beautiful Scandinavian interior and the smell of fresh coffee lure coffee lovers to Albrechtstraße, where Refinery just opened its doors again after some construction works. And maybe you will be amongst them after reading this passionate interview with Refinery co-founders Bora and Tansel. Before we come to Refinery, please tell us a bit about yourselves. We, Bora and Tansel, have been brainstorming about our own business, which would release our ideas and dreams, for a while. Honestly, it took some time until we made a decision to dive into coffee industry. When we think about it now, it should have been obvious since we start our mornings with high quality espresso and that’s how the best ideas come across. For us, coffee is not a drink. It is a culture, ritual, exploration and discovery. What is the story behind Refinery and how did it come to life? The vision was to establish a place which connects an industrial, raw and a little rough spirit and Scandinavian design perception in the heart of Berlin city. There are lots of places to drink a coffee, but the dream was to create a community, bring together the people who have a passion for coffee culture and have interest in creative industries. Refinery, since the very first beginning, was meant to be a very multicultural, multilingual, extremely vivid and sophisticated spot with the urban look and genuine atmosphere. You are working with very special equipment. Would you tell us a bit more about that? Water supply and power are the core. However, for our espressi we are using the “Spirit”, that is tailor made in Amsterdam. This machine allows us to perfectly extract espresso shots by offering accurate temperature control and pressure proﬁling per group head. 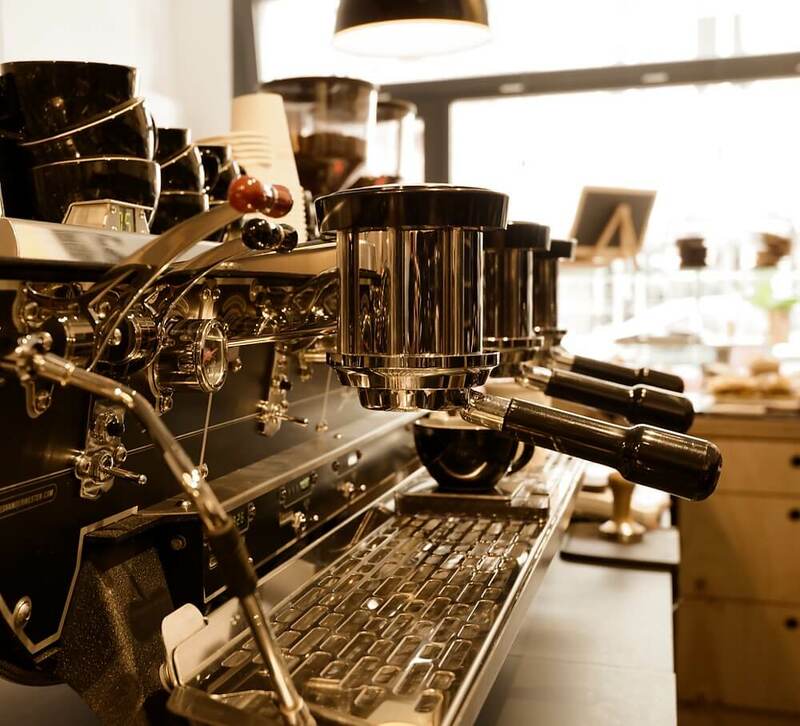 Our grinders are by Mahlkönig (EK43) and Mazzer (Robur). Don’t forget that all our coffees are made from double shots of espresso of course! Refinery only uses coffee from local roasters like The Barnand Bonanza. What are the characteristics of your coffee? Refinery is eager to support local roasters and create special atmosphere with an emphasis on high quality and service. As a result, our baristas have worked together with a local roaster to create the best blend. All these key features come together for the special moments and memories. Refinery should be perceived as an artisan process to extract the best of the coffee’s ﬂavour from farmer to roaster to barista to customer serving coffee specialities to perfection connecting nature and handcraft with soul. The place can be directly related with genuine latte and brew art. Every month you have a different roast specialty for coffee lovers. What are the standards they have to meet? Refinery’s Coffee goal is to surprise and make the coffee lovers even more in love with coffee. The idea to have a monthly special is tightly connected with keeping the diversity and exploration spirit. It is usually an amazing single origin coffee from Africa or South America. The coffee connoisseur will love these special coffees for their perfect shot of espresso! Besides the machine and the coffee – What is the secret of your art of making good coffee? Passion, knowledge, practice, willingness to develop and discover, exploration. It is a never ending process and combination of professional and personal characteristics. Starting off with the coffee beans of course, but equally important are the baristas. The Refinery Coffee team has a very high competence, seeks for achievements and believes in coffee magic. There is no secret, rather in opposite: we are open-minded, charismatic and very into coffee. Simple truth. From the interior to your baristas – Refinery has a very unique and rough style. How does that come? To me the most important thing is to provide a cosy place for my customers, where they can relax and enjoy their time. The secret weapon is to have dedicated baristas, who are passionate about what they do and we are very lucky to have found them! What else is there to get at Refinery? Refinery offers a wonderful, varied mix of fresh and homemade food, ranging from sandwiches to great pies and cookies. Everything is entirely fresh and home-cooked. We use seasonal and locally produced ingredients. We also offer a broad range of juices, smoothies, frappés and iced coffees. And not to forget about our cheesecake, which is unmatched. How do you personally drink your coffee? Simple and effective, an espresso shot is the best way to taste a good coffee.